Currently lives in Auckland, New Zealand working as a graphic designer, a lecturer and sometimes a writer and curator. He received an MFA in graphic design from Yale University in 2002, a BFA from the University of Canterbury (NZ) in 1993. 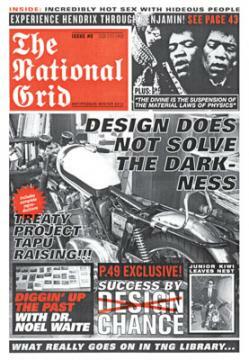 Co-editor of the graphic design journal The National Grid.